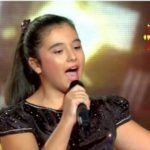 F.Y.R Macedonia : Eye Cue for Lisbon with their song “Lost and Found”; First exclusive statements! Just a few minutes ago the national broadcaster of FYR Macedonia, MRT, revealed the country’s next Eurovision 2018 representative. After announcing a public call for submissions back in January, the channel concluded in the band of : Eye Cue. Eye Cue is a band formed by the vocalists, Bojan Trajkovski and Marija Ivanovska, joined in their artistic activities by drummer Ivo Mitkovski. The band will perform “Lost and Found” in Lisbon. The song is written by one of the band members, Bojan Trajkovski. The decision was made by an MRT committee on February 10. MRT received 382 songs, eliminating all but 12 after three rounds of voting. After further voting of those 12 songs, “Lost and Found” was selected. The band was formed back in 2007 and have met notable success mostly in the Balkan region. In 2010 their song “Not This Time”, was one of the 20 most played videos that year on MTV Adria. In 2015 they won first prize in the local song festival Skopje Fest 2015. So far they have been a part of major festivals in Macedonia and the region like “Taksirat”, “Exit”, “Schengen Fest”, “Streets Fest”, “Vevchani”, “Pivolend”, “Ohrid Beach fest”, “Alarm”. In December 2011, the band recorded a video for the song “Ne zaboravaj”, which a year later, is still popular on local media. On June 25th, 2012, the band’s new song, “Ista pateka” was promoted on MTV Adria where it immediately reached the chart’s number 2. On the local radio stations, this song held the number 1 position for at least 4 months. At the end of the year they received an award for the song as it was one of the five most played song on all the radio stations in the country. Also the song reached no. 11 on the annual MTV Adria Chart. 2013 was a big success for the band as they had two major hits with the songs “Son” and “Bobi bas mi e gajle”. “Son” climbed no. 4 and “Bobi bas mi e gajle” no.9 on the MTV Chart. So far, their artistic activity in the music industry counts a number of pop-rock songs, so it is possible their Eurovision entry to be pretty much the same. Former Yugoslav Republic of Macedonia, officially debuted at the Eurovision Song Contest in 1998. However, the country had already made efforts to enter the contest two years before since the Eurovision Song Contest 1996’s pre-selection round where it submitted its first song entry, “Samo ti” (Само ти) sung by Kaliopi, which failed to qualify to the final thus eliminating the nation from competing for the first time. The country’s best result was in 2006, when Elena Risteska sang “Ninanajna” (Нинанајна) in Athens, Greece and came 12th. Last year the country was represented by Jana Burčeska and her song “Dance Alone” who despite her dynamic performance didn’t make it to the final.